Last month I was lucky enough to have a fab holiday back in Méribel, my winter office, see previous blog post. Amongst many things, I always try to keep an eye out for developments on the mountain and see what new things are in store. On my first day back there I went for a fitness mountain bike ride up to the famous Altiport area. In the summer, the Altiport is dominated by the 18 hole golf course - in the winter this area welcomes beginner skiers and snowboarders. On my first cycle ride up, I noticed some massive earthworks going on. 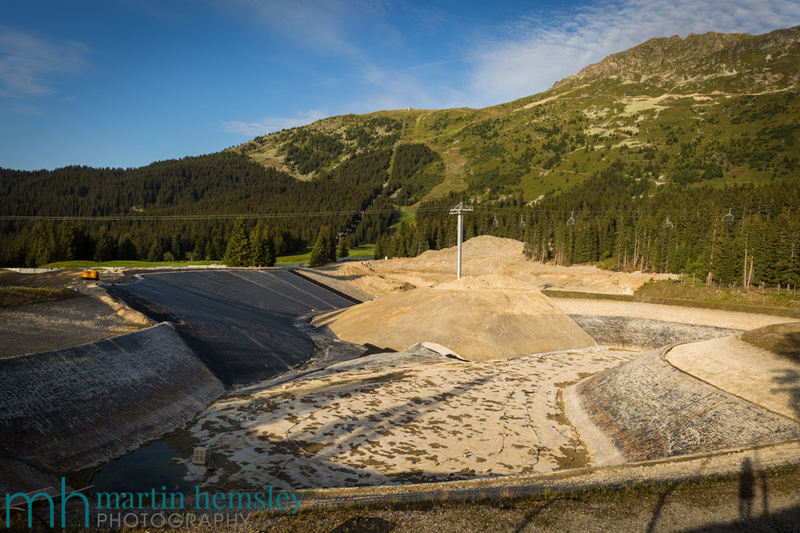 I had heard through the grapevine that Méribel was going to have a new water reservoir installed for the snow cannon network, and was intrigued as to where it was going to be built. This picture was taken close to the top of the Rhodos bubble, and next to the Rhodos mountain restaurant (formally called the Rhododendrons). There were signs everywhere saying the public were forbidden to enter the area. So I waited until later that evening and went for a poke about when I wouldn't get shouted at by the workers!! A section of the old Altiport reservoir. Upon inspection, it soon became clear what was going on - the current altiport reservoir was being extended into a larger one, much larger, in fact it is now officially MASSIVE. 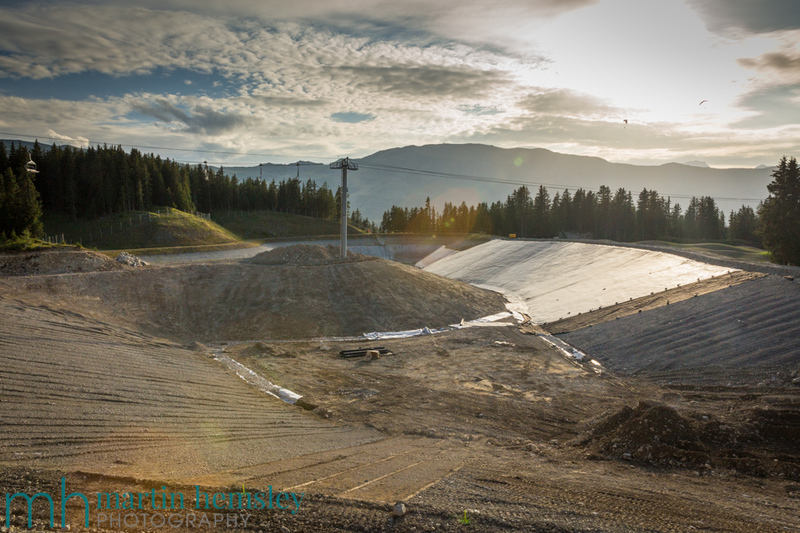 The eight seater Altiport chairlift now goes over the new reservoir. 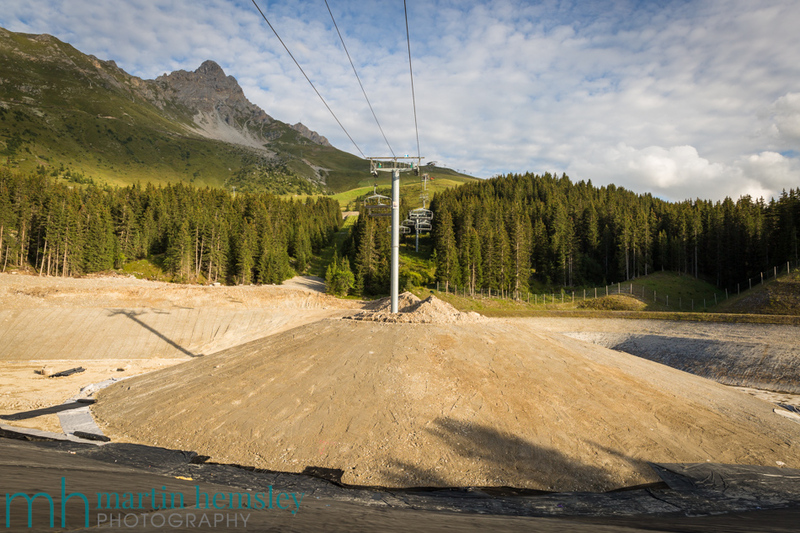 Regular visitors to Méribel might be able to visualise the changes, with help from these images. The extended reservoir has cut off the Altiport drag lift line, so it won't be possible to go to the top of the drag next to the Rhodos mountain restaurant any more. This is no loss, to be honest; as a ski instructor I very rarely used this drag to the top with clients - I always thought that this part of the drag was quite steep and exposed for learner skiers. The 'Inuit Village' area has been completely swallowed up. Fingers crossed this popular feature will be relocated. And a valuable green piste that took skiers to the Inuit Village has been cut off. 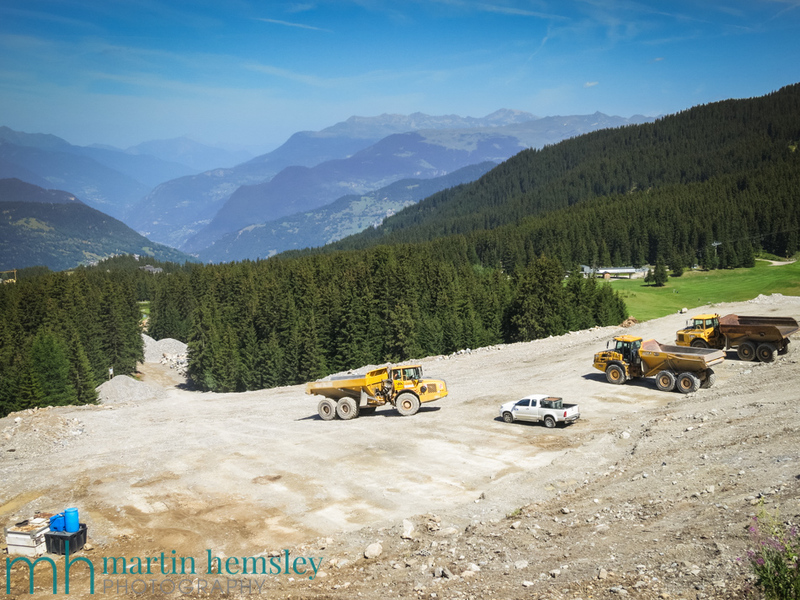 However, there was evidence of landscape work going on that indicates that a piste will still be there but I couldn't quite get my head round it at the time, thanks to everything looking like a building site! 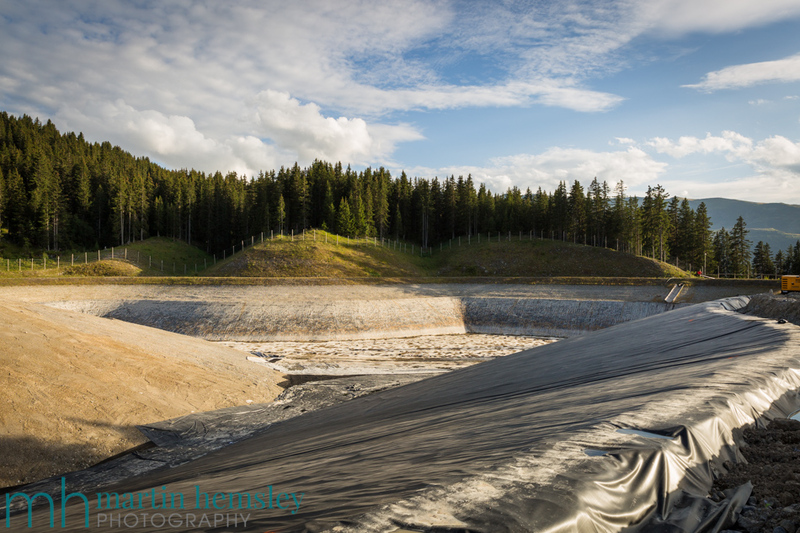 As you can see from these images, this new reservoir is huge. It is soo big that the eight seater Altiport chairlift goes over the top of it. I wonder how many ski poles and mobile phones will be dropped from the chairlift into it each winter? Although an eyesore now, this is amazing news. It will greatly improve Méribel's ability to create manmade snow, or as the French call it, cultured snow. In times of poor natural snow cover, for example similar to last Christmas and New Year, this gives the resort a fighting chance in giving us skiers a nicer experience in providing us with more snow to ski on. I think it's worth pointing out another interesting fact here. Méribel, and the whole of the '3 Valleys' ski area, is well known and respected in the industry for reinvesting money. This means that, most years, the snow making network increases. For example last winter we had yet another piste covered by snow cannons, the blue piste coming down from Col de la Loze called Pic. Again this is all good news, except that every cannon in use puts a strain on the artificial snow network. Now that we will have this extended water reservoir, the strain will be significantly reduced. 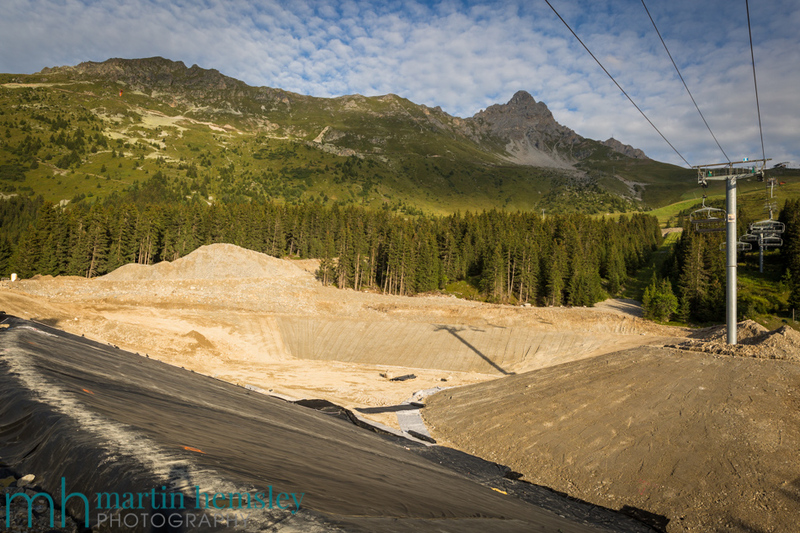 This reservoir is the only one on the Saulire side of the Méribel valley by the way, so again this improvement is very useful. Right, I'd better stop getting nerdy about these upgrades - in summary it's all great. Speaking of upgrades, my next blog post will be about another which is taking place on the other side of the mountain above Méribel-Mottaret. Do come back soon. Martin.